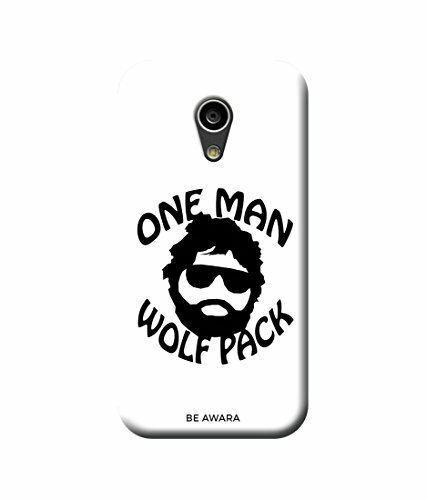 Be Awara One Man Wolf Pack Back Cover Case for Moto G2@399 Rs [Mrp:-399] - Onlinedeals.discount - A leading product discovery website. Find the true prices of products, read reviews and buy top brand products at reasonable prices. Full Button’s and port access. Complete and free-access to all standard buttons,ports; no interference with sensors; 100% compatible with regular charges and headphones. Complete Protection Impact resistant,durable hard plastic case with an extremely slim profile,raised front bezel for extra screen protection. High quality printing No peeling,chipping,or wearing off. All side design Case covers 100% of the outer surface of the phone. Precision molded with no seams or sharp edges.